Escape the crowded restaurants and snobby subdivisions of the Vineyards’ northern and eastern shores and head up-island to the Gay Head area. It’s an easy drive or a vigorous bike ride to Moshup Beach, situated beneath Gay Head’s towering heights. Much of this part of the island remains wooded, and the area’s residents will be more than happy to share their little slice of nature with you. It’s no coincidence that many of the East Coast’s best beaches are island-bound. After all, it’s hard to happen on an island by accident. Kiawah offers a little bit of everything: a serious swath of sand, several square miles of preserved lowland forest and swamp, and easy access to the inimitable Charleston, South Carolina. You’d have to head up the coast to a little place called Manhattan to find an island with easier access to world-class cultural opportunities. Despite its central location along the coast, Delaware doesn’t get much love from East Coast beach-goers. Spring-breaking teens prefer Wildwood, New Jersey, while families head to nearby Ocean City, Maryland. Of course, this is good news if you’re in the mood for a quiet beach experience. Fenwick Beach is pure Delaware, mixing historical charm with modern amenities and a world-class spit of sand, all with a fraction of the vehicle and foot traffic of nearby tourist destinations. 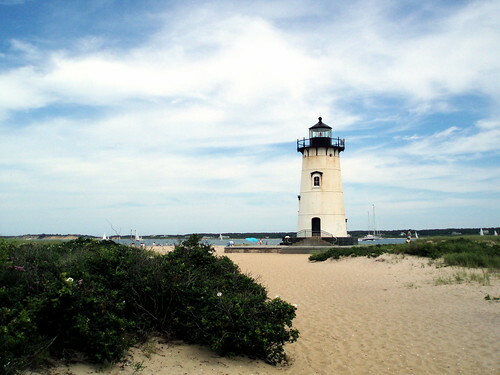 Connecticut’s Long Island Sound coastline has long been a paradise for sailors and pleasure boaters, but there’s plenty more to discover onshore. If you’re not content just to sit and sun on a sandy beach, Groton’s Bluff Point State Park has a tremendous network of hiking and mountain biking trails that wind through its estuaries and past the John Winthrop house, a classic example of local 18th-century architecture. Strategically nestled along the rugged coast between Portsmouth, New Hampshire and Portland, Maine, Wells Beach offers the same wide, sandy stretches as nearby York Beach without the summer crowds. The town of Wells is known for cheap, fresh local seafood, including classically-prepared Maine lobster. Don’t be surprised if you stop here for lunch and find yourself staying for dinner the next day. The East Coast is about more than just beaches, but there are few better ways to get a feel for this cultural Eden than to plot a driving course between a few of its beaches. Whether you’re driving through coastal Georgia and South Carolina to escape the winter cold or hitting Massachusetts and Maine during the peak summer season, you won’t be disappointed with what you find. Philip Hathaway is a freelance blogger for www.carinsurance.org.uk, a website that offers great quotes on car insurance so that you can be protected during your next big road trip.